This initiative highlights the gastronomic potential linked to the territory of the region of Els Ports. Scientists Sergi Meseguer and Andrés Santos-Cubedo of the Crystallography and Mineralogy Department of the UJI and Begoña Poza of the Guix Group of Vila-real have worked hand in hand with El Faixero’s cooking team. They worked to create a menu for tourists to enjoy smells and flavours that transport them to millions of years ago, to a world that was ruled by dinosaurs. The menu has been created on a scientific basis provided by palaeontologists, and on a gastronomic basis, fostered by the culinary experience of the members of the restaurant El Faixero. This new initiative, a first in the Valencian Community, aims to showcase the great tourist and gastronomic potential linked to the territory of its inland regions, thus highlighting local cuisine based on sustainability, landscape and heritage. For this reason, the research team created a gastronomic menu based on the geological and palaeontological richness of Els Ports region and especially on the dinosaurs that inhabited it millions of years ago. This proposal is possible thanks to the collaboration of El Faixero in Cinctorres and scientists from the Universitat Jaume I and the Guix Group of Vila-real. Cinctorres-Dinomanía is a project that presents leading proposals in the field of tourism initiatives in the Valencian Community. For example, it is the first park of its kind to have a dinosaur bone deposit adapted for people with reduced mobility. The research carried out for twenty years has demonstrated the importance of the heritage of Els Ports region in terms of dinosaur fossils. These findings have already been validated from a museum point of view, and Cinctorres has a dinosaur museum in addition to the dinosaur bone deposit. 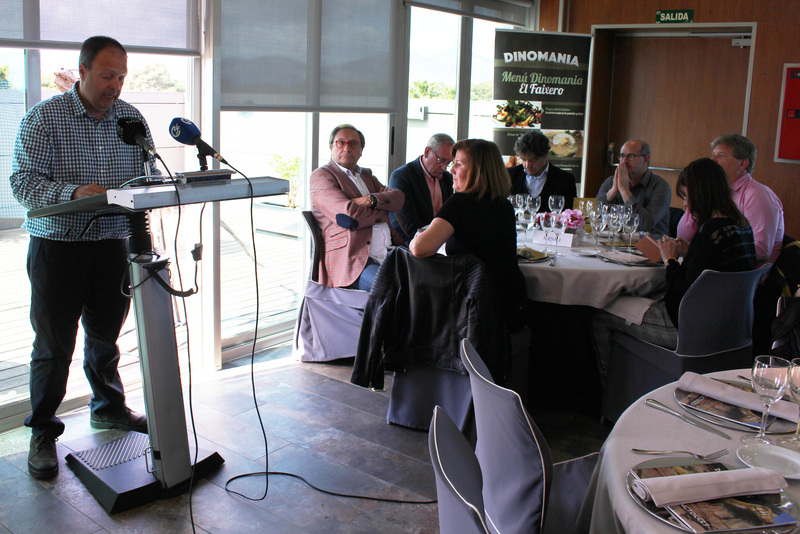 The presentation of the “Dinomanía Gourmet Dinosaur Menu” was held at Castelló Tourism Centre. It was attended by the regional secretary of the Valencian Tourism Agency, Francesc Colomer; the Tourism director general, Josep Gisbert; the mayor of Cinctorres, Antoni Ripollés; the director of the Castelló Tourism Centre, Esther Labaig, and the researchers of the UJI Sergi Meseguer and Andrés Santos-Cubedo.